Hi, Everyone! And welcome to my website! Here you will find healthy and simple Gluten-free and Low FODMAP recipes and useful tips for living with IBS and food intolerances. All the recipes are made with wholesome and healthy ingredients that are good for your body. Being an IBS sufferer for a couple of years now, I know just how bad, irritating and annoying it could be. That is why I’m only sharing recipes that I know, are completely Low FODMAP and good for your belly. Being lactose and gluten intolerant, I can completely relate and understand the struggle of having different food intolerances and allergies, for that reason, I try to make recipes that will also be suitable for people with different food intolerances. 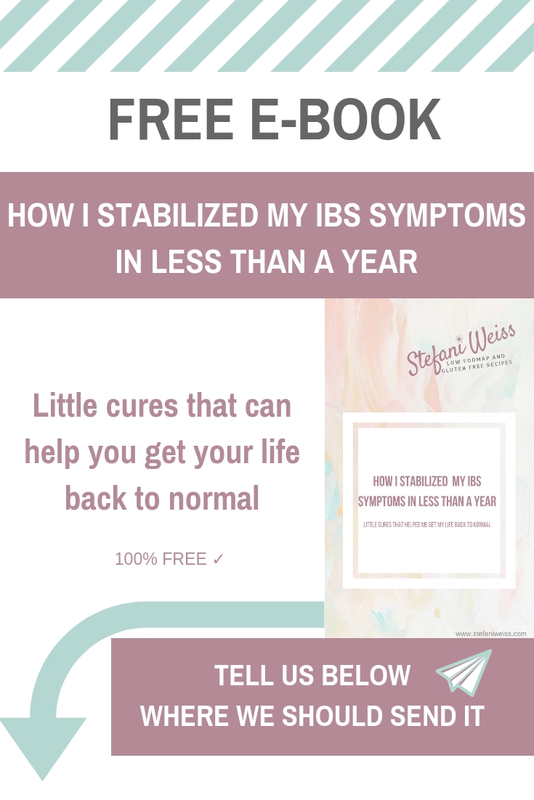 On my IBS journey, through many trying and errors, I learned a lot. And here I want to share all of that with you, in order to help you with your journey. As the saying goes “Learn from other people’s mistakes”. I hope you can learn from mine.